waiting for another trumped up tumult. and coming back like some thoughts. little cogs in a machine. and Jesus is just a swimmer here. and is bereft of mischief. How the cave gapes. How the cave made it a lifetime. How the cave shaped your howl. your words coming back like daggers. a mood you are told is tropical? 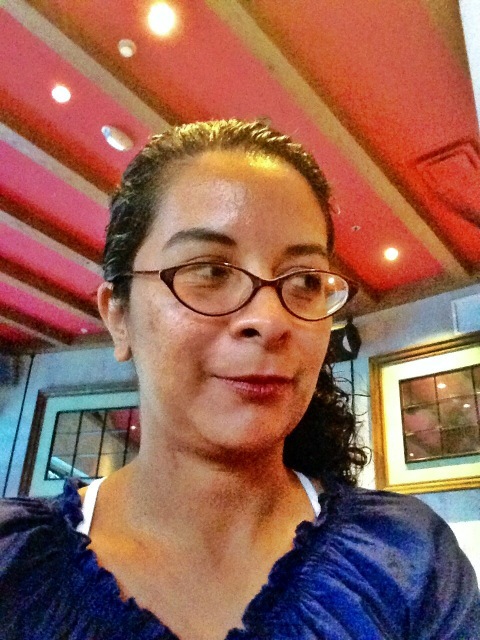 Yaddyra Peralta is a poet. Her work has appeared in Ploughshares, Jai-alai, Abe’s Penny, Tigertail, The New Poet, and Hinchas de Poesia.. In 2013 she was a Visiting Writer at the Betsy Hotel’s Writer’s Room in South Miami Beach, Florida and one of six collaborative Helen M. Salzberg Artists in Residence at Florida Atlantic University’s Jaffe Center for the Book Arts where she completed the book Conversation, Too, along with Tom Virgin, John Dufresne, Kari Snyder, Laura Tan and Michael Hettich.